When you start getting your hand around a comparative review of two devices, you eventually find yourself thinking about the fact that everything in the world has two sides to it. On the one hand, it is pretty challenging to face off two gadgets that are similar in so many ways, like price, sound and feature packs, and on top of that, brought by two respectable makers. However, when a thought that these could be (hypothetically) two worthless products from some Chinese vendors instead comes across your mind, you suddenly start to feel better about it. The highlights of the today’s piece have already received some very positive reviews from our staff –both units truly appeal to me personally, yet appeal with their respective attractions. That’s what I’m going to use here, otherwise I would have been better off writing something like: “They are both great, so get to the nearest store, flip a coin and grab the option the coin will suggest”. Generally, these two bring a new term into our vocabulary – premium-playdrive. Here is a brief “why”. Three or four years ago, when the playdrives were in the middle of their first surge of popularity thanks to their two-faced functionality, the entire market was divided up into two camps. The former comprised no-name products coming out from Chinese factories that churned out dime-worth players with quite matching design, controls and often sound quality. Most of those can be attributed to the lower end of the market, even though occasionally the market saw some gems in the form of more or less adequate offerings coming in at mid-range price points. Almost all these players had clumsy design with AA or AAA batteries employed as power supply. And the players coming from the other camp stood very well against that group. First of all, owing to being developed and manufactured by Korean companies that were no strangers to the European design and device management approaches. Moreover, unlike those battery-powered Chinese units, these players came bundled with inbuilt Li-Pol cells. These were all their major trumps, so that’s how come it is fine to say that it was then when the playdrives, although didn’t materialize, came about in the form of a concept. The advent of the iPod Nano, color displays, video department and other not always essential amenities has made the playdrive (and other “conventional” formats) to take a back seat. But it seems these nearly-forgotten formats are in for a comeback to the central shelves in retail stores and headlines in mass media. Two makers of the top five, specifically Sony and Samsung, rolled out their premium-playdrives almost simultaneously, what is more, the former unveiled another playdrive some days ago. These players are coming back to the market, and what is remarkable, to the price segment above the one they resided in before. Their design and flavors are big focuses now, so the playdrives are no longer regarded as the cheapest and lest sophisticated players. If the things will keep going this way, we might see some really interesting offerings in the near term. The truth is, however, Samsung’s road map has no more playdrives, at least for now – the next three models are music-photo-video-savvy. And what comes after that – we’ll see. The way we are going to compare these two is quite conventional and we have already tried it twice. The author is assisted by a focus group of three or four, which comprises people who are not into players. The models we are putting to the test – Sony E010F (with FM-tuner) and Samsung YP-U3, both grabbed from these company’s local headquarters. The structure of this article won’t differ from our reviews, everything is pretty straightforward. The scale we apply here has only three points on it – one point for “average”, two – for “good”, and three points granted for “excellent”. There is no “bad” here. Also there is the “editor’s choice” point, which normally shows which of the rivals I sway towards – it can be awarded only when I’m wrapping everything up and giving you the final score. If this point is actually given to some model, it means that this device has managed to grab the author’s attention. Should he do this, the author provides an explanation why he has fallen for this device. Now, with all the rules behind, let’s take a plunge. Probably, the most valuable of all factors we are assessing. Normally, the devices we put face to face here are very close functionality-wise, so they differ in very subtle ways. However I have never had a chance to look at identical designs brought by different makers of the top echelon, and it is unlikely that I ever will, unless it is OEM. That’s the place where we can dig out a whole lot of differences, boo flaws and hype advantages. But in the case of the E010 and the U3, everything is a tad simpler. First goes the E010. By and large, it all becomes clear after having a glimpse of the player. I mean its focus on flamboyant and catchy looks. This is a designer player in the first place, and it aims chiefly at people in love with such things. Speaking in favor of this guess are the color scheme and the finish of the plastic: glossy and glittering. By the way, women think of no other parallels but a tube with expensive lipstick - I’ve heard this so many times already. In its turn the Samsung U3 is more into no-nonsense design. It gives you a feeling that its target audience comprises mature men, who treat functionality and looks of their gadgets in the same vein. But, this goes only for the black-coated device (I suppose there will be a whole lot of them in Russia). Other pretty colors, as I see it, don’t stand a chance against the E010 – just some smooth plastic bricks, and that’s the best scenario. What is worse, they might be mistaken for cheap Chinese toys. All up, Sony’s design trumps its vis-a-vis in terms of flamboyancy and visual appeal, basically that’s the first thing you realize at a glance. 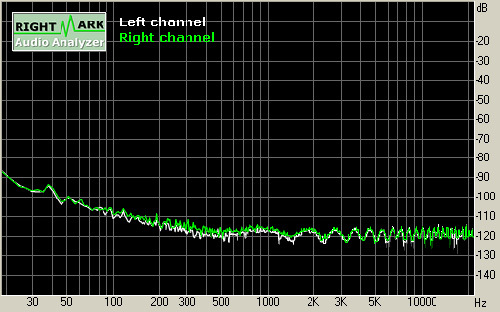 The E010’s profile is much thicker than that of the U3, which can’t be overlooked of course. The U3 itself is more of a today’s flash drive, and is so much closer to it size-wise than the E010. Both players are built very well, feel solid – in a word, no matter how hard we try, we won’t find anything to whine about. As far as design is concerned, the focus group couldn’t come up with one verdict for all – the men found the U3 more appealing for its official and ascetic lines; however the E010 won the place of an accessory for wearing with designer clothes. In other words, it is quite possible that the E010 will fit a man’s image, but the U3 is more versatile in this sense and is the favorite for everyday use. The ladies were less extreme in their opinions; generally they are more open towards novelties and less conservative than men. They unanimously voted for the E010 as a cute device that is definitely worth looking at. However the U3 scored way fewer nods, probably due to coming in black – that’s the only flavor we brought for the test, since it was more versatile. Personally, I agree with everything said by our “unbiased judges” some of whom are already keen to have some more quality time with these gadgets provided that they get them for free. In my opinion, the U3 is the man’s choice with quite no-nonsense design, while the E010 focuses more on women and those men who follow all the latest fashion trends and don’t mind using flashy accessories. I suppose you will agree – not everybody can manage it, some will look like idiots with a hefty number of trinkets all over them, but others (promoters etc.) will actually look pretty good dressed up in all these things. Another thing of note is the plug design. As I see it, neither of the competitors has an edge. And here is why. On the one hand the E010 houses a real plug firmly mounted on the casing, so its durability in the long term should never be in question. However, the connector here is covered by a cap, which can easily go missing some day. Well, okay, not easily, but still, it may fall off. And the U3 sports a sliding plug, so it needs no cap or your care about keeping it in place. But, it seems flimsy on the face of it, so you might doubt about its ability to handle various stresses. Nevertheless, a group of enthusiasts put it to some tests and figured out and the plug can survive up to 10kg load. This clip starring people in masks, a bucket and dumbbells is available on YouTube if you search for Samsung YP-U3. So, the connector is not as fragile as it might seem and can well outlive the player itself. Eventually, after some heated debates, we decided to give both players the highest score – Sony’s offspring scores for its design, and the U3 boasts its sliding connector which is much more robust than it looks. It is another aspect of prime importance, but you get to realize that only after the prelude, staring at the player, checking out its sound quality, talking specifications with assistants, and, eventually, paying for it. Whether control scheme fits the user, lives up to his/her expectations or not – normally, all these questions are answered by personal experience or a couple of wise words shared by someone who has already got this gadget. In fact, I suppose, this is the reason why you read my reviews, as well as all other articles available over at Mobile-Review - it is the way to figure out how well a player or some other device does on the fronts which screenshots, press-releases and live images say nothing about. Sony and Samsung differ in very fundamental ways when it comes to control schemes in their brand-new offerings. The Japanese player has mechanical buttons, whereas the Koreans have kitted out their offspring with touch-sensitive controls, which may well be the first case among the playdrives. In this article we are putting two different control schemes face to face. Since I don’t want to bother you with some complex preludes, I will now cut to the chase – we actually did put them face to face. But the results are nothing to shout about – neither scheme performs substantially better than the other one. The impressions they leave are not even close to what I experienced after playing around with the iPod Mini for the very first time. The jaw-dropping convenience delivered by the click wheel when it came to volume control or navigation, still visits me in my dreams. I was a hair away from signing up for the army of rabid iPod fans, and had I failed to resist the temptation you would have been reading someone else’s review right now – being objective is still a big part of the business. All in all, I got off lightly. So, I don’t know why, maybe touch-sensitive controls have already grown stale, or the nostalgia for mechanical buttons is coming back, but the U3 delivers no “wow-effect”. You no longer get as excited as before, touch-sensitive controls these days are merely an option you might want to go for. I suppose there is nothing bad in that, basically it is the way the technology should develop, when novel concepts little by little come into our lives and lose the touch of novelty they initially had. However, those who don’t meet a lot of players in person might still find this to be something new, even though, it won’t set their pulse racing like before. Now, I will outline the experience of handling the Sony E010. The rocker switch for jumping between tracks, which didn’t quite appeal to me in the first place, now seems to be a good thing. I think the catch here is that it looks good and does the job well at the same time. In other words, being an integral part of the design in a certain sense, it also helps you manage the device. Moreover, the rocker switch happens to be right beneath your thumb, if you take the player in your right hand, so the other buttons will be within your forefinger’s reach. Though, the same holds true for the Samsung U3 as well. Speaking in favor of the Sony E010 is the fact that it is easy to control by touch, be it in your pocket or somewhere else. The controls mesh with the design and keep low profile. However with the U3 in your pocket, you can take it out and with smooth gestures soar through its menu to the amusement of everyone nearby. Regrettably, you won’t be able to do that without looking at the player, and repeating “take it out, put it back” routine isn’t particularly pleasing. The same goes for the Cowon D2 which I’m currently employing – it is a great all-rounder, but you should get ready to moving it around a lot, just like the “benchmark” iPod Video. For some reasons, diagonal and display type have always been the criteria for determining how grand a player is. Obviously, everyone wants his player to have the most beautiful display around, but in pursuit of specifications it is quite easy to overlook everything else, including sound quality. If that’s the case, then you should better go for a PMP and boast how about huge it is (which is kind of similar to jeeps), or listen to your tunes on a handset, which ship with some decent displays these days. They say players coming with tiny displays don’t stand a chance, and there is a whole lot of other models available – pick whichever looks prettier. It is good to know that this paradigm gets regularly broken by the Sony S700, the iPod Shuffle (the latter has no display whatsoever) and the like. If you ask me, I prefer a cramped, yet sharp monochrome display, rather than a grainy Chinese 160x128-pixel unit with faded colors and unable to resist direct sunlight. But as you would expect, my opinion means nothing to the manufacturers and millions of users worldwide. Both units featured in this comparison can’t sport huge and vibrant displays, and I guess it comes as no surprise to you – a playdrive can hardly retain one of these, mainly due to the awful lack of free space on the casing. The displays found on the E010 and the U3 are quite diminutive and look resembling in many respects. But below we are focusing on their differences. First of all, Sony has got an ace up its sleeve – it has embedded a color display into its player. There is nothing else they could do, with so many users taking color screens for granted in even the least sophisticated gadgets. And Sony takes advantage of this; actually it has been capitalizing on this craze for quite a while, ever sine the S700, which housed a tiny yet sharp and colorful display. It is not the first time I’m giving a credit to Sony’s menu designers, and this player is not an exception, I can’t possibly keep mum about this. The fact of the matter is that the E010’s display, as it is, can’t boast some mindblowing colors, diagonal or resolution. But every last bit of what it has is used to the full. That’s why every time we look at the picture it produces, we can’t help it but call what we see “cute”. Really, flashy squares of Album Art placed on the all-black background look extremely good. Thanks to this well-thought approach, even under its glossy shell the display remains visible in the sun. But, after all, the U3’s display turns out to be superior, even as far as technical specifications are concerned. This display is in keeping with the sprit of the series – no-nonsense looks, no frills at all (but somehow, I like the U1’s grey-and-black display more), OLED-matrix, monochrome, which means that the picture is built from turquoise pixels on black background. It seems reminiscent of the Sony E010, but only in terms of the background. The major difference here is that the U3 always shows one and the same background tone, while the E010 can have any color set as its background, yet enjoys black, apparently to keep the picture crisp. That said, the Sony E010 wins it all here – we do appreciate Samsung’s preoccupation with cost savings, but it actually can afford buying several hundred thousands of tiny, baby color displays? One of the traits that’s inherent to the premium-playdrives – presence of an inbuilt battery, usually a Li-Pol unit. However our units weren’t quite similar in this regard – the U3, which is skinnier as well, came with Li-Pol cell, while the E010 boasted a Li-Ion battery. And, despite inferior technology, Sony fights a whole lot of points back with the cell’s physical size and the trademark power consumption system – Stamina. Thus, the E010 lasts around 20 hours, whereas the U3 can’t show off similar figures and falls a tad behind with its 15 hours of music playback. Nevertheless, charging is where the players operate pretty much in the same vein – they can fully recharge via a PC (or mains, though you will need an adapter for this that doesn’t ship with the players) in about two hours’ time. However, Sony is still a hair ahead with its Stamina technology allowing you to get enough juice for a couple of hours of playback within 5-10 minutes. But then, Samsung really appeals to me with its couldn’t-care-less attitude, in the good sense, towards various copyright hurdles and “straightforward music library management”: the Korean player requires no drivers or file managers, and works like a flash drive, allowing you to playback music tracks right after you get them onto the U3. The Sony’s player, like you have come to expect of it, needs clumsy Sonic Stage to run (latest versions, however, are a tad better performers). Other types of content can be moved onto the E010 as if it was a flash drive. Of course you can transfer music onto it in this manner as well, however it will be impossible to playback, Sonic Stage is still the must-have agent. The impendent (well, it is already here, just needs some time to make it to retail stores) B100 will be Sony’s first player to dump Sonic Stage software. Although, the rumor has it, some manager will start up right from the player’s memory, but only on the user’s command. Anyway, we will see how it turns out really soon. Data transfer speeds offered by the E010 and the U3 are quite mediocre, topping out at around 1,5 Mb/s. Both players score “good”. It doesn’t matter how colorful you language is, when speaking of sonic experience – you will never give the readers the big picture, just some ideas to take into account. Our focus-group didn’t find any substantial differences between the sonic experiences delivered by these two players – clear and soft sound never falls flat across the entire range of genres, from jazz to techno on both. Personally, I do know what Sony’s trademark sounding is, but if asked to test the two right here, right now, there will a good chance I will be deceived by Samsung’s offspring. 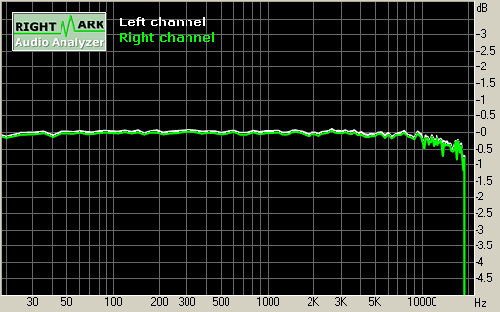 So the best reason for giving both players the highest score comes in the form of the diagrams indicating that in terms of audio quality the E010 and the U3 aren’t too far apart. In our tests we deliberately left out certain features like FM-tuner or track switch mode – these are tiny, insignificant details that lend the players their unique faces. By the way, Sony’s player has some editions shipping with no FM-tuner onboard. As it stands now, the score is: Sony E010 – 14 points, Samsung U3 – 12 points. I think the amendment I’m about to introduce into the rules of this comparison will be pretty much legitimate; regrettably, this idea came upon me only when I was writing my third comparative review. It concerns the editor’s point – if it serves for expressing my personal attitude towards some particular product, regardless of what the focus-group thinks, whose members have only a quick once-over of the players, then it must be able to go either way, meaning that it can be either given or taken off. And I suppose you will agree with this, for it is more demonstrative. All the more so because I actually provide, even if brief, explanation why I feel like adding or taking this point. So, driven by this amendment, I would like to take one point off the E010. Here is why. Sony has come up with a catchy player that does make a statement with its shiny looks, and this is admirable indeed. It can almost momentarily charm a big part of the audience, including those who had a chance to get their hands on it only once. However, the assessments of the people involved in this test are guided chiefly by first impressions. And Samsung’s player, on the contrary, belongs to the type of players you need to feel first to let them unfold all their merits, as they are not right on the surface in the case of the U3. So, on balance, the Sony-branded player is still in the lead, but this one-point gap and being two and three points short of the Ideal respectively, gives a much better and fair picture. Moreover, if asked to explain why the Sony E010 trumps the Samsung U3 with some facts taken off the top of your head, I don’t think I will be way off the mark if I that in 90% of the cases, the answer will be: design. Bottom line: Sony E010 wins scoring 13 points out of 15. Samsung U3 – 12 points out of 15.